Bernhard and Young (Journal of Academic Ethics, 7, 175-191, 2009) allege that a “myth of confidentiality” plagues research in North America because of the absence of statute-based legal protections and the requirements of some REBs to limit confidentiality “to the extent permitted by law.” In this commentary we describe statute-based protections for research confidentiality available in the United States, clarify the legal situation regarding research confidentiality in Canada, and explain that REBs that “require” confidentiality to be limited by law are imposing a doctrine that is not required by the TCPS and may violate researchers’ academic freedom. The paper laments how excessive REB risk aversion and inaction by the granting agency Presidents has created a situation where some REBs are encouraging researchers to download research risks to research participants and forcing researchers to choose between exposing themselves to the prospect of going to jail to protect confidentiality, watering down their research objectives, or conducting “vanilla” research rather than engaging in controversial and/or sensitive areas of study. The paper urges the granting agency Presidents to seek legislative change to protect research participants who provide information that could cause them harm if their identity were to be revealed. Thanks to Russel Ogden, Judith Bernhard, Julie Young, Will van den Hoonaard and an anonymous reviewer for their comments on an earlier draft of this manuscript. 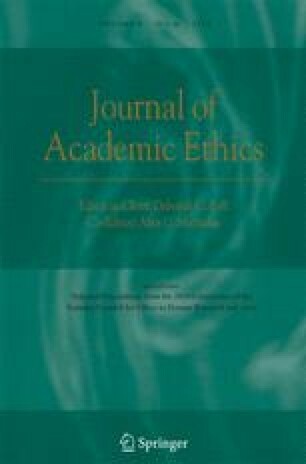 Jones, D. J., and Interagency Panel on Research Ethics (2007). Interface of Law and Ethics in Canadian Research Ethics Standards: An Advisory Opinion on Confidentiality, Its limits & Duties to Others. McGill Health Law Publication, 1 1: 101-105 <http://mhlp.mcgill.ca/pdfs/vol1/jones-pre.pdf> Accessed 14 March 2010.